Officials in the Shasta Union High School District in Northern California began the testing in 2008, arguing the prospect of being disqualified from a favorite after-school activity would discourage youths from using drugs or alcohol. But the Third District Court of Appeal in Sacramento ruled that the California Constitution’s guarantee of privacy is more protective of individual rights than the U.S. Constitution and may prohibit the drug screening. The court upheld a Shasta County judge’s order halting the tests until a lawsuit by a group of students goes to trial. “The district has not shown a specialized need to target students participating in (the activities) for drug and alcohol testing,” Justice Tani Cantil-Sakauye said in the 3-0 ruling. She said there was no evidence of a drug problem among students in programs like choir and Future Farmers of America, and little or no evidence that testing them would serve any useful purpose. Drug testing in the Shasta district was previously limited to athletes, a program not challenged in the lawsuit. In support of the expansion, the superintendent and a school board member said they had heard reports of drug use in music programs. Someday these kids will be making decisions for us about what freedoms and privacies are available to us, as this generation becomes the judges cops and lawyers of the future. If we teach them that privacy is something frivoulos, that should be given up to authority without question, how well will they protect our privacy and freedom when we are at their mercy? Inevitably we will be handing over the reigns of our society to these kids. It seems to me that society is served much better by not teaching them to pee in a cup for the approval of the authorities, wether they be high school principals, prospective employers or random searches of your biological future. The burden is on the state to prove wrong doing, it is not the duty of a free citizen to randomly proove they arent doing anything wrong. Leave the kids alone. 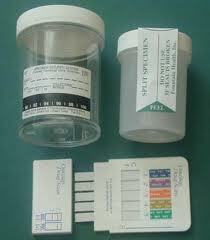 Drug testing is fine if there is reason to believe that a particular student is high on something. There is no right or reason to test everybody. 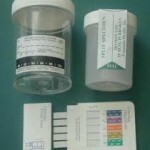 Can you imagine how dull music would be if all musicians were required to drug test? Monkscrew, having been in the choir program many years waaaaaay back in the 70’s, I can tell you many a member came to concert stoned. I doubt it has changed much. However, I agree that there should not be drug testing in schools. Give an inch, they take a mile. Innocent til proven guilty. Yadda, yadda, yadda.